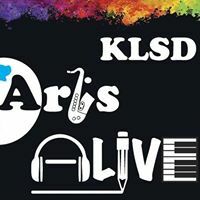 Minutes: KLSD ArtsALIVE Board of Directors Meeting, December 10, 2018 – KLSD Arts Alive! KLSD ArtsALIVE Co-President Colleen Cerami called the regular meeting of the KLSD ArtsALIVE Board to order at 7:00 p.m. at the John Jay Middle School conference room. She welcomed Scott Weinstein as a rep from the Student Board. Topaz reported that three days of fundraising raised $2,186. A letter is now needed confirming the grants have been approved. KLSD ArtsALIVE can directly purchase requested items – a spotlight and new amp with balance and two spot cords – and ship them directly to the teacher. Any balance remaining is recommended to be saved for next year. Targeted fundraising with a tangible outcome seems to be the most successful in terms of ROI. The PTO thanked ArtsALIVE in its newsletter. Sorin discussed a choir concert as a targeted potential fundraiser in December and/or January; it’s important to find a related item that JJMS needs and target the donation request from parents. It was noted that Mr. Fritch needs microphones, so there could be a specific ask to fund that purchase. One idea is to “Stuff the Tuba / French Horn / Violin Case” with donations during a band/orchestra concert. Colleen asked Sorin and Topaz to write an article for the next newsletter. Scott reported that approximately 30 students indicated they want get involved with ArtsALIVE at the JJHS Club Fair. The group discussed potential activities to get students engaged, including caroling/candy grams, a raffle, a cookie decorating contest to get students to the meetings; cookies could reflect the art they are interested in for the contest. Scott also discussed getting sign-ups for concessions for the freshman play. Students will be selling the food and flowers at the performance and parents will donate the food/baked goods. Monica Bermiss reported Middle School Art Week is being moved to February (probably a Wednesday). Performers would come to JJMS and engage small groups of students and then have an all-school assembly. During lunch, a DJ would play hip hop from different decades while the artist creates a “subway car” to show how music influences art. The experience would then move to the gym for an all-school experience. Monica can involve MS students who registered for the Children’s Choir. The experience would also combine mood and music – kids would write words and put them in a basket and the artist would pull out these words and incorporate them with the arts. The group also discussed having student artwork displayed at Offerings Gallery in Katonah. It was suggested Mary Ann will follow up with Mindy Yanish, the gallery owner, whose daughter was part of ArtsALIVE when she attended JJHS. Encore Cabaret will take place on Friday, January 4, 2019, at JJHS. Andre Catrini, JJHS ’07, will return as the Musical Director. Maureen, Andrew, Amanda all worked with Colleen to launch the event, including designing and creating a Brown Paper Bag account. Tickets can be purchased through Brown Paper Bag, as well as at the door. There has been a strong response from current students who want to be involved in areas besides performing. Colleen is contacting alumni, but as many of them are performing and on tour, we may not get as many alums are previous years. Encore is posted on the KLSDAA Facebook page and there is a Facebook event, both for students and adults. Amanda will contact all preforming arts family and all KLSDAA members; Gia will interview Andre and submit it as part of the Dec KLSDAA newsletter. Amanda will help coordinate the art slideshow with Diane Richman and talk to Vinnie about getting a monitor connected to laptop that would run the slide show. Scott will work on getting student volunteers. Andrew will design posters to post around town as part of an advertising campaign. 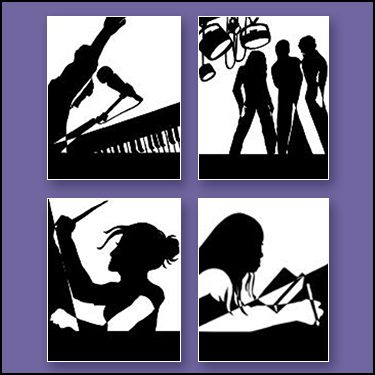 As Encore is a the high school this year, we need a stage manager. Abba Wilson will be contacted and asked to put a crew together. Regarding another event, Topaz brought up the Katonah Art Stroll, which takes place in March. The group discussed the feasibility of using a student photographer to take pictures during stroll and then have these photographs displayed. There being no other business to conduct, Colleen adjourned the meeting at 8:25 p.m.